Well we’ve already actually announced it at php[tek] 2015, but it’s time to start sharing some information about it. 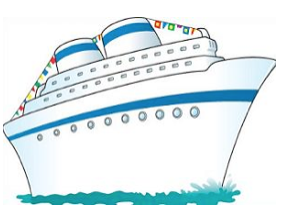 Yes, we are going to revive php[cruise], and once again host a conference-cruise for the PHP community. This 7 day cruise will take place from July 17-23, 2016 and leave from the port of Baltimore. We still have lots of details to work out – but wanted to make sure that everyone was aware of this early! We will be working on making this a family friendly experience. Daycare/kids activities are included in the cost and we are even looking at scheduling some ‘teach kids to code’ type events. Lots of community building activities will of course also be planned. Stay tuned for future updates, we plan on getting a full website of information up in the coming month! 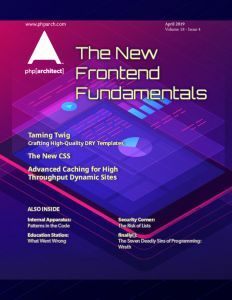 Eli has been a PHP coder since the day PHP 4 was released. He's worked for numerous companies in the past, such as Digg.com, Zend Technologies, TripAdvisor, mojoLive, and Goodsie. Though found himself in love with the PHP community so deeply that he ended up here at php[architect], and loves what he does. Conferences, magazine, books, training - Teaching people the love for the language that he himself has.